Sri Lanka’s former President Mahinda Rajapaksa and his family members were today reported to the country’s anti-corruption watchdog by a key coalition partner of the new president, Maithripala Sirisena, over graft claims. The Marxist Janatha Vimukthi Peramuna (JVP) called on the Bribery and Corruption Commission to probe Rajapaksa and his family members over the allegations. “This morning we lodged a complaint against Mahinda Rajapaksa, Basil Rajapaksa, Namal Rajapaksa and Gotabhaya Rajapaksa to the bribery commission,” said Vijitha Herath, a JVP legislator. JVP complained about 12 individuals and institutions, which also include two ministers while others are high-ranking officials of the Rajapaksa dispensation. Herath said his party expects the watchdog to launch a full-scale investigation into the bribery and corruption allegations. Rajapaksa, meanwhile, has responded to the reports that he may flee the country. He said he would stay and continue to fight. In the run-up to the January 8 presidential elections, the opposition had accused Rajapaksa and his family of being involved in large-scale corruption, nepotism and of having a disregard for law and order and good governance. Opposition had severely criticised Sri Lanka’s central bank for investing in what was termed as Greece “junk bonds” in the aftermath of the euro crisis. It said Sri Lanka invested in those bonds against normal procedures and regulations which resulted in the country incurring a loss of Rs 2 billion. Rajapaksa witnessed a shock defeat in January after being at the helm of Sri Lankan affairs for 10 years. 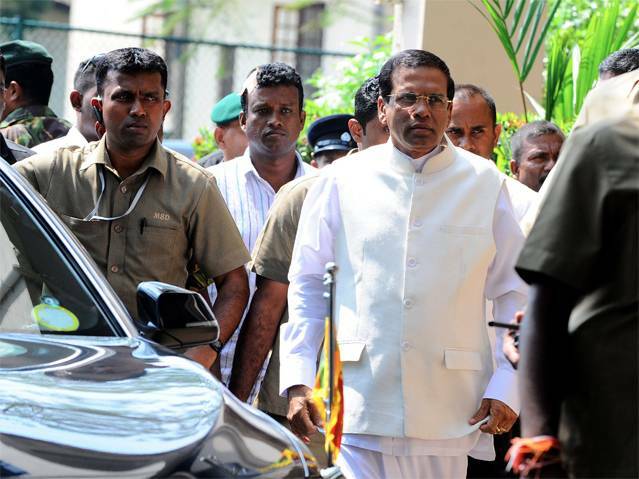 Newly-elected President Maithripala Sirisena, in his election manifesto, had pledged a 100-day programme to set up independent commissions to suggest ways to free key governance sector of political interference. Colombo, Jan 13 : Pope Francis on Tuesday called for respect of human rights and healing of racial and religious hatred as he arrived on a two-day visit to Sri Lanka, days after a new government assumed power in the country. He became the first foreign dignitary to be received by the island nation’s newly elected President Maithripala Sirisena at the Colombo International Airport. 78-year-old Francis’ visit comes at the start of a week long Asian tour, aiming to bring a message of inter- religious and inter-ethnic harmony to Sri Lanka. “Diversity is no longer seen as a threat but as a source of enrichment. The path to justice, reconciliation and social harmony becomes all the more clearly seen,” Francis said. The visit is the first Papal visit to Sri Lanka since January 1995. “The great work of rebuilding must embrace improving infrastructures and meeting material needs but also and even more importantly promoting human dignity. Respect for human rights and the full inclusion of each member of society,” he said. The Vatican in the recent times have been critical of attacks against religious minorities under the administration of President Mahinda Rajapaksa. Addressing the Pope, Sirisena said his government aims to promote peace and friendship among communities. “We are a people who believe in religious tolerance and coexistence based on our centuries of religious heritage” Sirisena said. He will receive the Pope this evening on an official call. Pope’s pubic mass will take place tomorrow morning and will later travel to the historic Madu church in the north eastern district of Mannar. The Pope will also visit Tamil territory to pray at a shrine beloved by both Sinhalese and Tamil faithful. The invitation for the visit was made by Mahinda Rajapaksa. 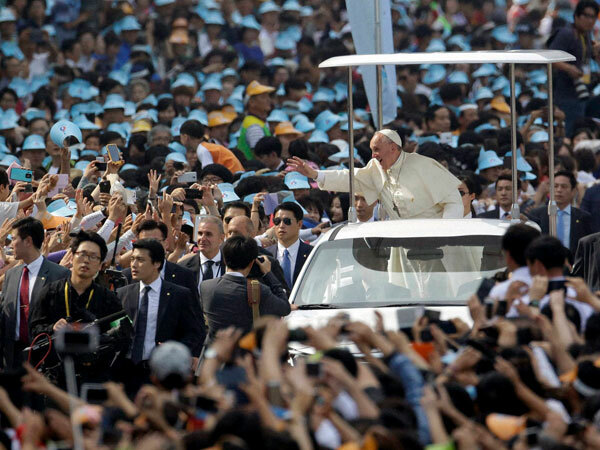 The pope went ahead with his visit despite the change of government following snap polls. During his visit, the Pope is expected to call for greater dialogue among people of different faiths. There were apprehensions that a messy electoral outcome might have thrown the papal’s visit into doubt but Rajapakse graciously conceded defeat that was welcomed by Sirisena. On Thursday he will lead for the Philippines, the largest Roman Catholic country in Asia and the third-largest in the world, for the final leg of the journey. Catholics account for around six per cent of the population in Buddhist-majority Sri Lanka. 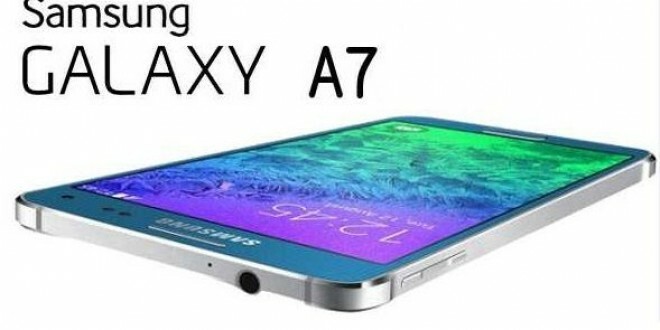 Samsung Electronics has finally made the long-rumoured Galaxy A7 smartphone official. The new model is the thinnest smartphone made by the South Korean titan yet at 6.3mm. A part of Samsung’s new A series of smartphones, this smartphone has a metallic body and takes a spot above the Galaxy A5 and A3 in the company’s new portfolio. In terms of features, Galaxy A7 sports a 5.5-inch HD (720p) Super AMOLED display and runs on Android 4.4 (KitKat)-based TouchWiz UI; the model will receive Android 5.0 (Lollipop) update, the company said. It comes with 16GB internal storage, 2GB RAM and microSD card support up to 64GB. The smartphone is powered by a 2,600mAh battery. COLOMBO: Tamils in the Northern and Eastern Provinces of Sri Lanka massively voted for joint opposition candidate Maithripala Sirisena in Thursday’s Lankan Presidential elections, despite the fact that their erstwhile “National Leader” Velupillai Prabhakaran had tried to assassinate him five times. 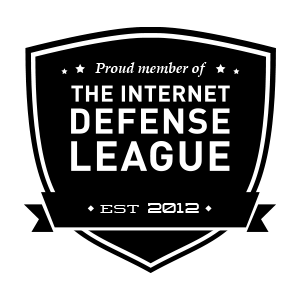 Sirisena, a cabinet minister in the Chandrika Kumaratunga and Mahinda Rajapaksa governments, had been Acting Defense Minister on several occasions, and hence a target of the LTTE’s Black Tiger suicide squad. The most dangerous of the attacks was staged in October 2008 at the Pirivena Junction in Colombo. A suicide bomber had struck at Sirisena’s convoy. 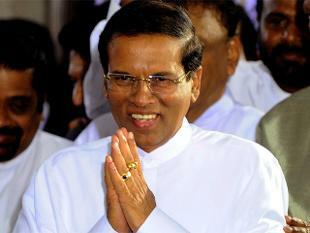 One person was killed and seven were injured but Sirisena escaped unhurt. That was the fifth and the last time, the Tigers had tried to kill him. Though soft spoken and low profile, Sirisena, now 63, had had a revolutionary past before he entered electoral politics in 1989. He was imprisoned for nearly two years for alleged involved in a putsch which the ultra-leftist Janatha Vimukthi Peramuna (JVP) tried to stage in 1971. His involvement with revolutionary politics is not strange because he belonged to a peasant family in the backward district of Polonnaruwa in North Central Sri Lanka. His father being a World War II veteran, Sirisena was exposed to various currents in world affairs. But in the 1980s, Sirisena turned a new leaf and joined the Sri Lanka Freedom Party (SLFP) whose leader Sirimavo Bandaranaike had imprisoned him for trying to overthrow her regime in 1971. The SLFP’s ideology fitted Sirisena’s mindset as it was a party of the Sinhalese rural folk of whom he was a part. His family has been into agriculture, milling and trade in agricultural products. In 1989, he contested and won a parliamentary election from his home turf of Polonnaruwa and has been a long standing parliamentarian and cabinet minister holding important portfolios. Sirisena was also General Secretary of the SLFP till he quit the Rajapaksa government late last year to contest the 2015 Presidential election as a joint opposition candidate. Sirisena quit because he could not tolerate the concentration of power in the hands of President Rajapaksa, his brothers, family members and a small non-family coterie. When the mid-term Presidential election was announced, Sirisena was approached by the opposition, now led by former President Kumaratunga, to explore the possibility of his challenging Rajapaksa as the joint opposition candidate. The reason for putting up Sirisena was that he is a Sinhalese Buddhist with a suitable peasant background and a mass base. He could also divide the SLFP and weaken Rajapaksa’s hold on it. Negotiations were kept a top secret. Sirisena deluded Rajapaksa by even doing a public puja for his victory in the coming election. In his last meeting with Rajapaksa, Sirisena is believed to have made a demand, which he knew Rajapaksa would not meet – the post of Prime Minister. As expected Rajapaksa refused, and Sirisena stormed out. Nothing like this ever happened to the best of our knowledge. This is all Rajapakse propaganda once again ! Daham Sirisena, the son of the new president, following the footsteps of Malaka Silva, Narada Dissanayake, Kanchana Wijesekara, Yoshitha Rajapaksa and Lohan Ratwatte – all who had sold there fathers – and has begun running riot in the very beginning of the Maithri Paalanaya. Last night (10), Daham had arrived at Clique, a night club at Race Course, Reid Avenue, Colombo 07 accompanied by PSD men in seven vehicles. Entering the place, he had ordred its security to deactivate all the CCTV cameras there. The security men had refused to do so, but had been forced to deactivate the cameras, under duress by PSD personnel, and then Daham had started playing havoc, harassing others at the night club. Those at the night club started leaving, saying that if this son is not tamed early, he will end up ruining his father. We kindly request the young Daham Sirisena that he will have to be treated in the same way those bastardly sons had been treated if he continues to act like this in the very beginning of daylight after the end of the hour of the devil.